On the evening of February 4, 2018 the Blavatnik Family Foundation, in collaboration with the New York Academy of Sciences and The Israel Academy of Sciences and Humanities (IASH), hosted the Inaugural Ceremony and Gala for the Blavatnik Awards for Young Scientists in Israel at the Israel Museum in Jerusalem. Prominent leaders across Israel from academia, business and philanthropy attended the event. The celebration began earlier that day with a private reception hosted by the President of Israel, Reuven Rivlin and his wife Nechama Rivlin, in honor of the three Blavatnik Award Laureates at the official residence of the President of Israel. The Laureates’ families, the Awards’ founder Mr. Len Blavatnik, and leadership from IASH and the New York Academy of Sciences, were also invited by the President to participate in this reception. Later in the evening, festivities at the Israel Museum began. Guests entering the cocktail area enjoyed live performance art from the Batsheva Dance Company. Dana Weiss, Chief Political Analyst and host of Israel’s “Saturday Night with Dana Weiss,” served as the Master of Ceremonies. One of Israel’s most celebrated singer/songwriters, Rona Kenan, performed an opening song, which was followed by a short opening film highlighting Israel’s entrepreneurial spirit that has led to the country becoming a world leader in innovation, technology and business. The evening honored three of Israel’s leading young scientists: Dr. Charles Diesendruck, a chemist reviving the field of mechanochemistry from the Technion – Israel Institute of Technology; Professor Anat Levin, a computer scientist working in the field of computational photography who is also from the Technion; and Dr. Oded Rechavi, a geneticist from Tel Aviv University studying non–DNA-based inheritance. These three Laureates were chosen by a distinguished panel of judges from across Israel and selected from 47 nominations that were submitted by eight of Israel’s top universities and independent research institutions. Before each Laureate was announced, a short film introducing each scientist and the significance of their research was shown (see above links). Blavatnik Family Foundation Founder and Chairman, Mr. Len Blavatnik, awarded each scientist with their personalized medal. The scientists were each given an opportunity to present their latest research findings to the audience. Nobel Laureate, Israel Prize Winner, and Distinguished Research Professor of the Faculty of Medicine at Technion – Israel Institute of Technology, Professor Aaron Ciechanover, was the keynote speaker for the evening. The Ankor Choir of the Jerusalem Academy of Music and Dance concluded the ceremony with a vocal performance. 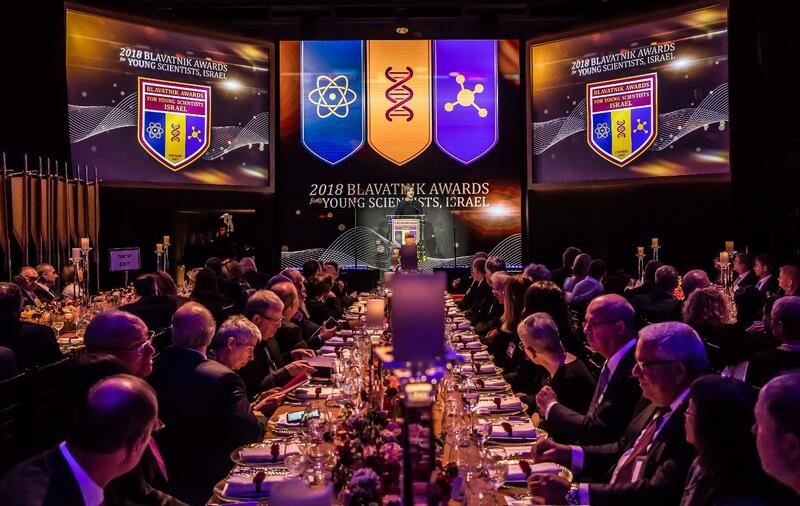 Click here to see the Facebook Photo Gallery from the inaugural Blavatnik Awards for Young Scientists in Israel Ceremony.